Chiang Rai in Northern Thailand should be a lot higher on people’s places to visit list than it is, we enjoyed 2 very full days staying in Chiang Rai on our Thailand road trip and highly recommend you make the journey just 3 hours ( roughly) from Chiang Mai to explore the temples, villages, forests and markets of the region. 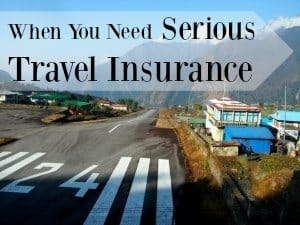 We hired a car and self-drove around Chiang Rai City and beyond into surrounding areas ( Chiang Rai Province) and for a family of 4 hiring a car for 5 days is cheaper than return bus tickets. There are some large distances involved in getting between the major attractions up there and having your own vehicle is a very good way to get around Chiang Rai, but tours and public transport are available ( more on Chiang Rai tours and getting to Chiang Rai later). 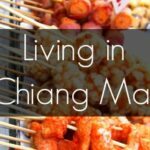 For now things to do in Chiang Rai and why you should visit, we have many more posts to come on our Northern Thailand road trip and it was an unforgettable highlight of our month in Thailand. A week, maybe even 3-4 days is all you need to get a taste of this part of northern Thailand and put together your own itinerary ( see here). At the end of the post see where to stay in Chiang Rai City, the place we picked was a beautiful, and very affordable. More detailed posts and more photos on all of these places will come son, let’s just do the big overview first. 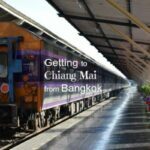 We already have a post on hiring a car in Thailand which I’ll be updating with Chiang Rai roadtrip infrmation and a general Thailand itinerary is here. We couldn’t do everything in just 2 days, but we did our best. These are the highlights we chose to experience during our time in Chiang Rai. There are more things to do here and next time we’re in northern Thailand, we’ll add them to this post, that’s how we work on this website, we keep going back to learn, see and do more. 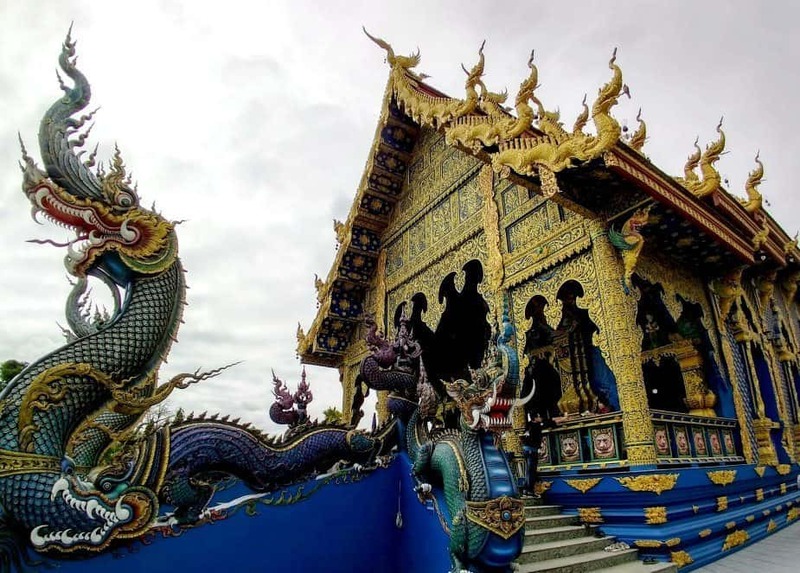 All of these are free things to do in Chiang Mai other than the White Temple as it’s a privately owned art work. This is the first post that’s gone out with all photos taken on my phone. 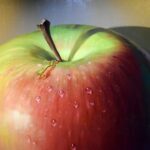 I’ve ditched the DSLR for easier workflow and I think, better images. I’m thrilled with my new phone’s photographic abilities and you can see which I picked here.. Of course, I put in a lot of research to get more phone for my dollar, this one is a winner, the twin from cameras, wide angle shoopting, gorilla glass, twin sims and water resistance sold it to me as a great travel phone / camera. It’s pretty, it’s glitzy, it’s kind of amazing. There are also some nice cafes and coffee shops right here near the clock tower in Chiang Rai city. 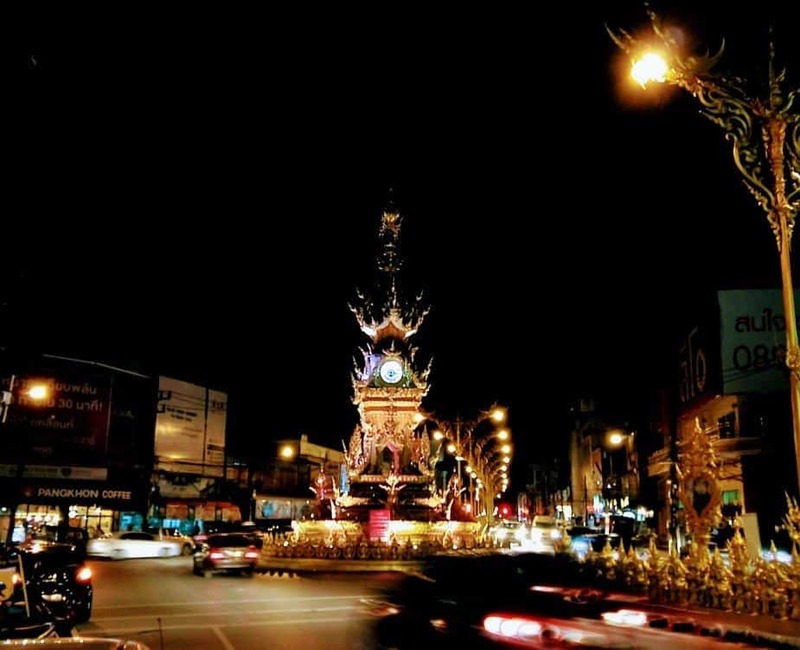 The street lamps and other decorations around Chiang Rai are immense and really peak at the clock tower. You’ll probably want to take a look at this area anyway, it’s not far from the night markets and there are a lot of good places to eat and a couple of coffee shops right here. There are two nice ethical cafés with good vegetarian menus here too ( a little pricey, but good). Come down at night to see the clock tower lit up and looking at its best. Also take a look at the King Mengrai monument. Mengrai or Mangrai ( born 1238) was the first king of Lanna and established Chiang Rai as his the capitol. He is one of Chiang Mai’s famous 3 Kings. 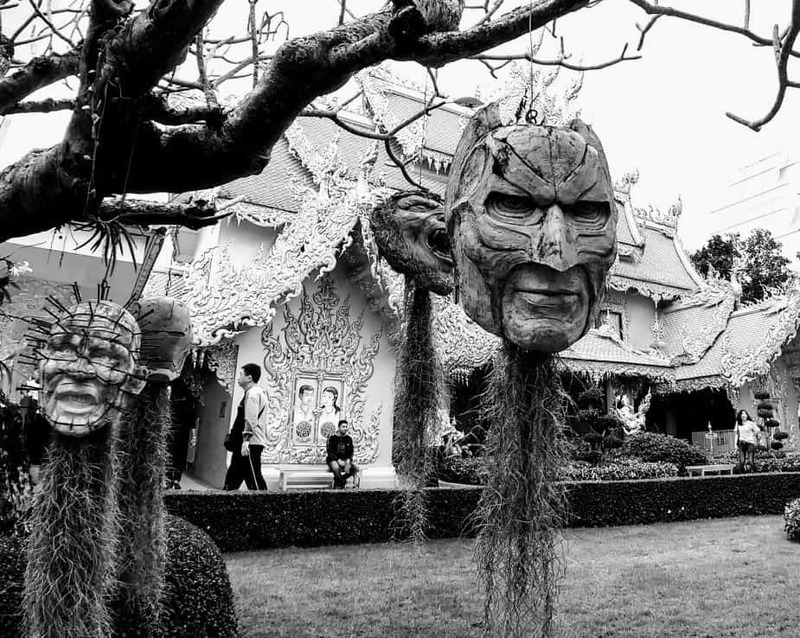 Steam punk, comic strip and classical Thai architecture collide at Chiang Rai’s crazy, quirky and beautiful White Temple. The kids loved this and the bizarre family photo op you’ll see on our Facebook page. This Wat is actually privately owned by the artist responsible for it’s inception, Chalermchai Kositpipat, it’s crazy, unconventional, stunning and absolutely worth visiting. The inside is fairly ordinary by Thai standards, so if you’d like to save yourself the 50 Baht ( under $2) admission fee, you could take a quick look from the road instead, we thought it was well worth visiting and a full post will follow. There is no photography allowed inside the temple itself. The kids in particular thought this Wat was great fun, I’ll tell more later. 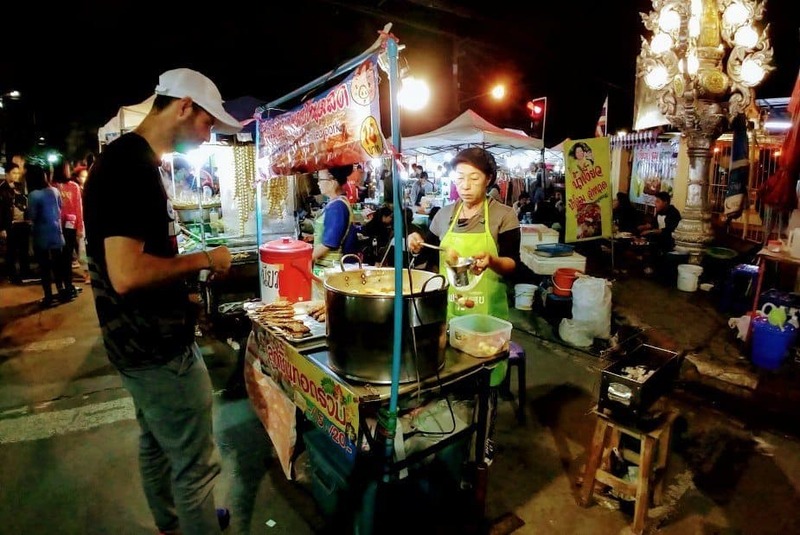 The Saturday night night market offers a mix or stalls for locals and tourists, while the Chiang Rai Night Bazaar is open every night. According to our research the Night Bazaar is open every night ( as in Chiang Mai) but the Night Market is Saturday night only. We were there for Saturday by lucky chance and really enjoyed the mixture of stalls aimed at both tourists and locals. Expect Hill Tribe crafts, warm winter clothes, toys and trinkets plus great street food. At the Night Bazaar you’ll find a huge food court with hundreds of tables and stalls piled high with fried foods. This place seemed to be a locals favourite. If you’re heading up for Saturday book your hotel in advance, it gets pretty full but you’ll see relatively few western faces in the crowds. Look for the lady selling pork balls wrapped in crispy fried noodles with peanut sauce at the Saturday night market, buy some, thank me later. The Blue Temple, like the White Temple, is another visually stunning destination where you’ll have to wait your turn to get a decent photo behind the Instagrammers. Unlike the White Temple the inside is more spectacular than the outside and photography is allowed. This is where you’ll really want that wide angle lens. It’s gorgeous, the blues are incredible, it’s free and they sell rather nice blue-themed coconut ice-cream just outside. Despite the tour buses it’s still a religious site and visitors need to show respect. Boo and Chef looked out of the giant eyes of Guan Yin. More to come on Wat Huay Pla Kang, it’s so new you’ll find little else about it online. We were the only white western tourists at this complex of temples and Buddhas and the site was incredible. Chef and Boo climbed high into the lady Buddha to peek out of her eyes, I stayed closer to the ground and enjoyed the beauty and chanting of the other two temples. This is where we came up with the phrase ‘Temple Disney’. Chiang Rai certainly has that feel. This temple complex is Wat Huay Pla Kang and it’s so new it’s hard to find information on it online. 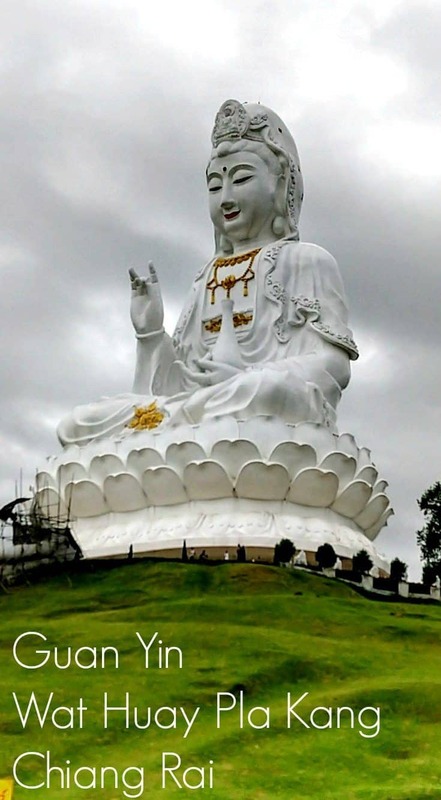 The giant seated lady Buddha is named Guan Yin. The statue has elevators and the white temple to the left, although not finished, has disabled access. To the left again a pagoda houses multiple wooded lady Buddha statues. The whole complex is slightly amazing and feels very Chinese with bus loads of local tourists arriving throughout the day. There is a large car park and restaurant, admission is free. A chance find, this hill tribe village had a small museum which was closed when we turned up. 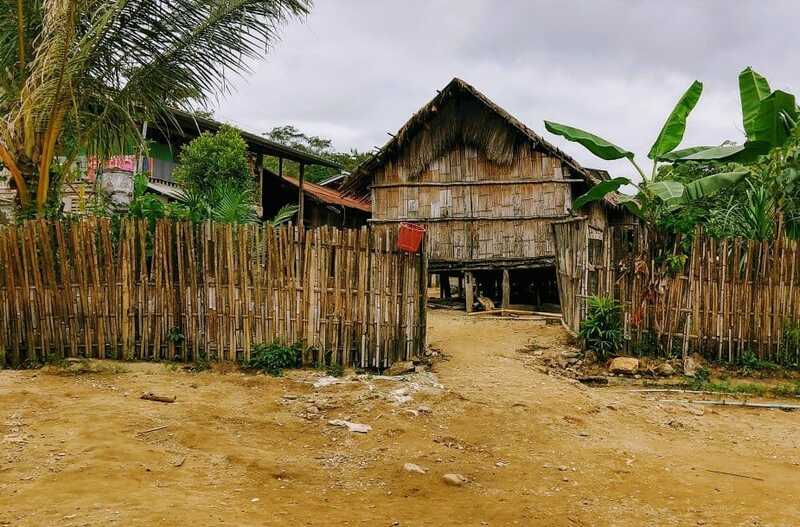 As you drive around the countryside up here you’ll pass many women and children in traditional tribal costume, it’s cool and pretty much unspoiled by tourism. We followed signs to a hill tribe museum in the village pictured above, it was closed, but we had a wander around the town and people seemed interested in us and wanted to talk. Likewise we stopped to buy a drink at a tiny shop in another village, marked as a tourist village on its road sign, there were no tourists, everything seemed very laid back and these villages were nothing like the long neck Karen village we visited near Mae Hong Son. There are long neck villages in this area too but we didn’t visit, not through any ethical concern, we just didn’t have time. There is another, larger hill tribe museum in Chiang Rai. OK so it’s not much of a waterfall, but it was a nice little walk. Chef and I had been talking, saying it was a shame that the kids had never experienced trekking in Thailand, so we found a mini-walk for them. Chef and I trekked a lot in this part of the world pre-kids but the boys never have. We’ve dragged them half way up Everest but they’d never been surrounded by Thailand’s forests so we needed to fix that. We took a very short walk to this waterfall, it was free, there was a car park and we had to sign a guest register in case we got lost. It was a nice walk and we saw plenty of flora and fauna, mostly the sort with exoskeletons. It was a nice way to spend half an hour. You’ll see plenty of signposts for waterfalls, take your pick. 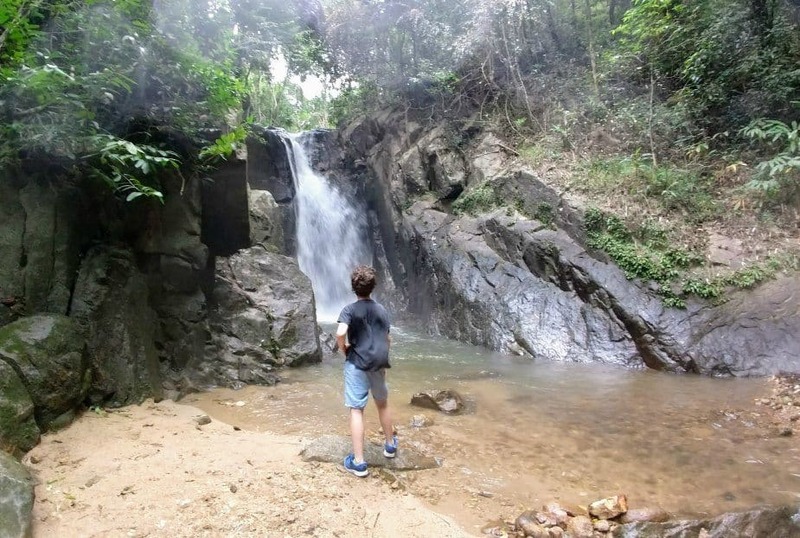 See a list of waterfalls near Chiang Rai here. We visited, well, we’re not actually sure which one we visited, we just followed road signs near Wat Huay Pla Kang. Part of the fun of taking a road trip lies in getting lost and chance discoveries. Head further north to Mae Salong, you’ll spend maybe 2 hours driving though unspoilt countryside and negotiating treacherously steep mountain roads to put you in another world. It’s still Chiang Rai Province and it’s worth the trip. Our next post will be about finding our heads in the clouds where Thailand meets China ( or Myanmar, geographically speaking). 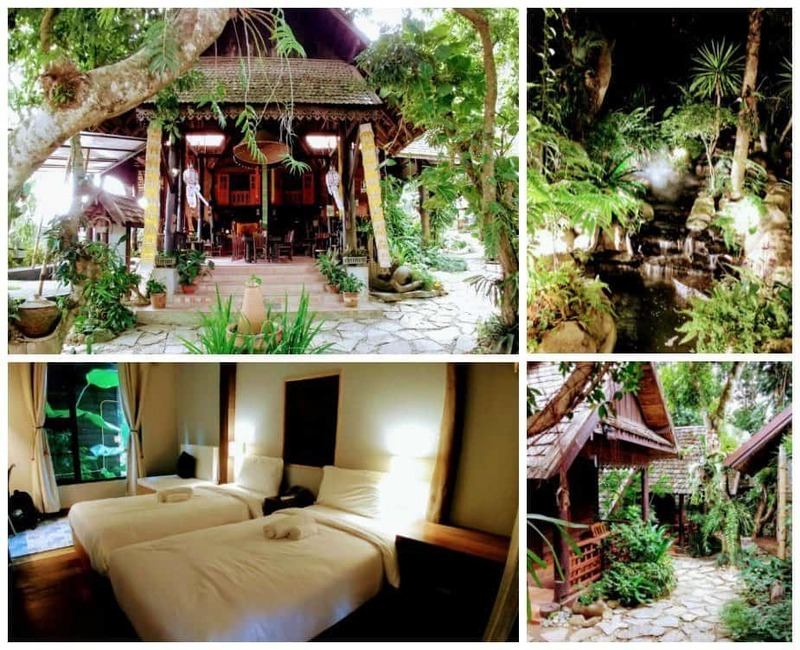 We absolutely loved these Chiang Rai eco villas. Use our links below to find the best prices or maximise on your Agoda gift card value. We loved this place, Pan Kled Villas Eco Hill Resort, and we wished we could stay longer. We took two villas or chalets, side by side, although families with younger children could take one. The villa the boys occupied had 3 single beds, our chalet, one large double. Wi-fi was good ( as approved by my kids) and breakfast and dinner likewise. For a hotel, the dinner prices were actually reasonable ( sun 100 Baht), which was a pleasant surprise. We all loved the beautiful jungle setting and mature gardens and the boys named the water feature and impressive catfish ‘ The Dagobah System’. We were delighted with Pan Kled Villa hotel but it’s only really suitable if you have your own transportation as it’s a little way outside town. They are building a beautiful-looking swimming pool, so hopefully next summer, there will be extra reason to stay here. When we stayed in late November, it would have been too cold to swim. This was a lovely spot to break our north Thailand road trip and as I mentioned in this post, we actually stayed for free using our Agoda gift cards. You can see Pan Kled Villa Eco Hill Resort on Agoda here or check Hotels Combined in case any other booking engines are currently offering better prices ( Hotels Combined checks both Hotels.com and Booking.com plus others to find the best deals). A full review of this hotel is in production. So we hope you fund our post on things to do in Chiang Rai helpful, I could have added ‘with kids’ to the title but really those two words make very little difference to our recommendations. Our kids enjoyed Chiang Rai, as did we, in many ways far more than Bangkok or Chiang Mai. We’d really like to encourage more travellers to explore the north of Thailand by car, it’s an incredible way to see this part of the world and we talk about car hire or rental in Thailand here, this was our 3rd time self-driving in Thailand and each time it’s been a great experience, you really do see and experience far more. Back to our main Thailand travel page here.